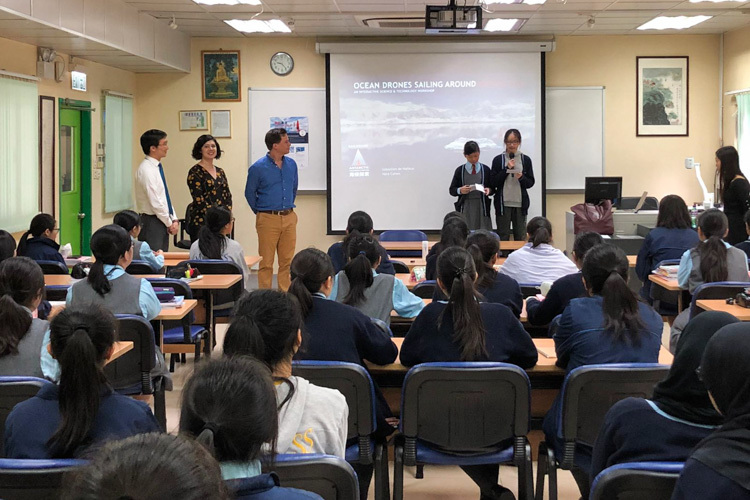 Saildrone COO Sebastien de Halleux and business development lead Nora Cohen were in Hong Kong to talk to local schools about the first unmanned circumnavigation of Antarctica and invite students to enter the Saildrone Wing Design Contest and “How Antarctica Affects Me” Video Contest. They met with 10 groups students in grades 6–10 from more than 12 schools. 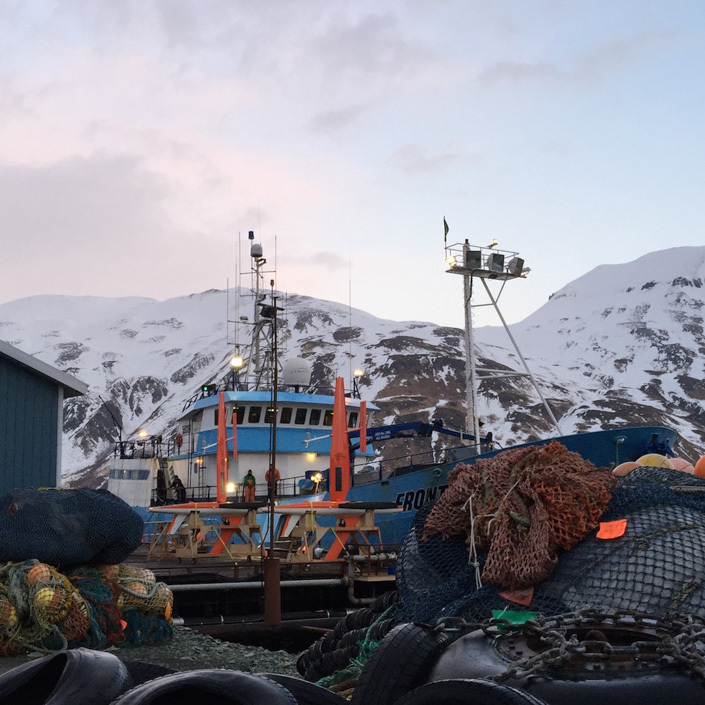 “Despite living in a coastal city, many students in Hong Kong, and around the world, have little exposure to ocean topics, let alone Antarctica. The goal of this outreach program was to bring Antarctica to the classroom to start a discussion about the link between Antarctica and students in Hong Kong, using the Saildrone Antarctic Circumnavigation to spark interest in this important topic,” said de Halleux. Saildrone discussed the Antarctic mission with 10 groups of students from more than 12 schools in Hong Kong. 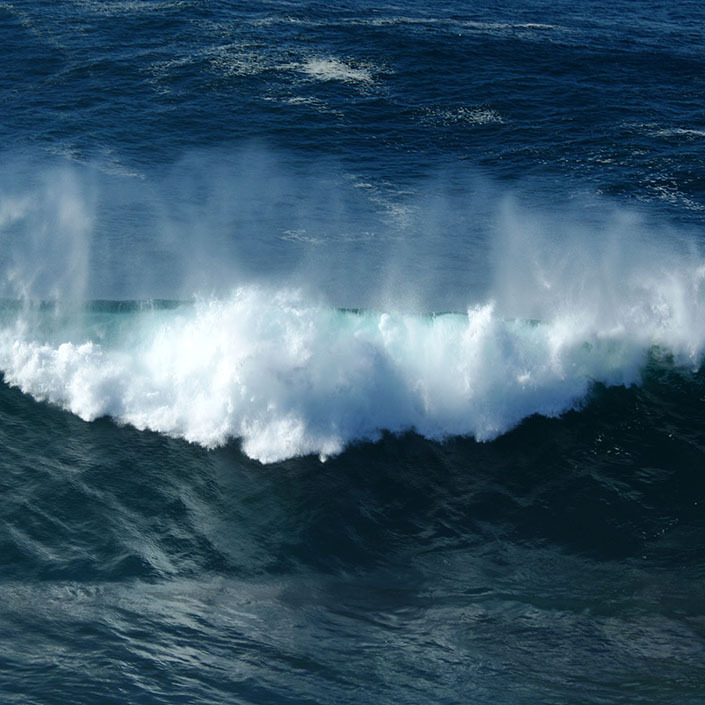 The Southern Ocean is one of the most hostile and remote places on Earth, making exploration difficult, hazardous, and expensive for trained scientists, not to mention average citizens, but it’s also an integral piece to the puzzle when it comes to understanding global marine ecosystems, weather, and climate change. 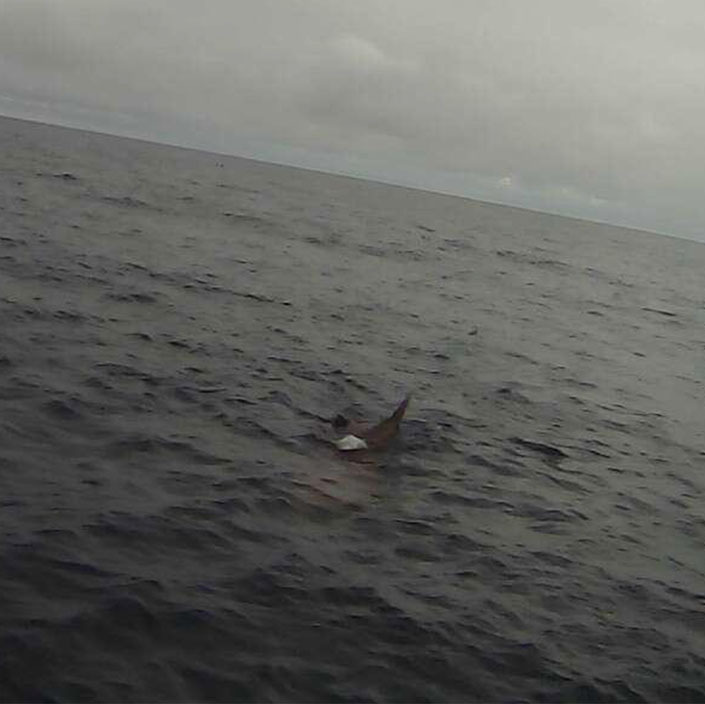 Saildrone unmanned surface vehicles (USVs) provide an unprecedented opportunity to study distant marine environments, no sea-sick pills required! At just seven meters (23 feet) long and built to withstand the harshest ocean conditions, saildrones are capable of exploring areas of the ocean where relatively few observations have ever been recorded. 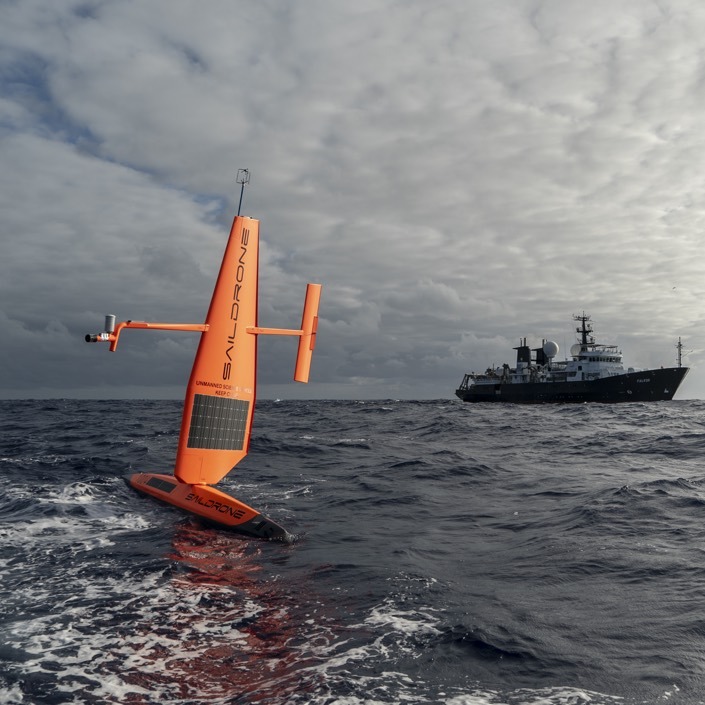 The data collected during the 2019 Saildrone Antarctic Circumnavigation will support several scientific research initiatives. 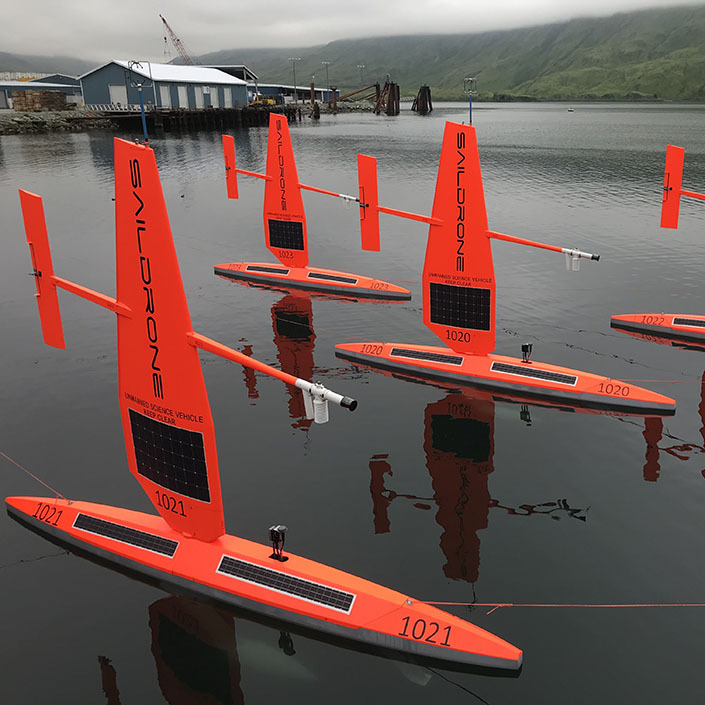 Saildrone USVs carry a payload of science-grade instruments to collect data on a range of activities above and below the ocean’s surface, including the abundance and activity of krill, penguins, seabirds, and fur seals, carbon dioxide levels, and weather observations. 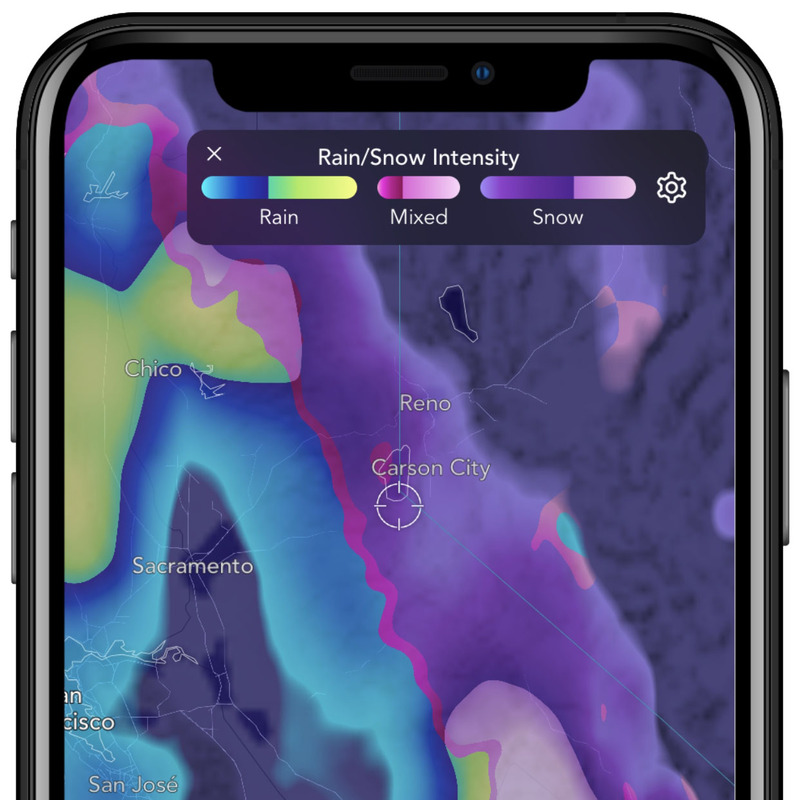 The data will be used by science partners including NOAA, Australia’s Commonwealth Scientific and Industrial Research Organization (CSIRO), the University of Gothenburg in Sweden, and others. A photo of an iceberg in the Southern Ocean taken by SD 1020 during the 2019 Antarctic mission. 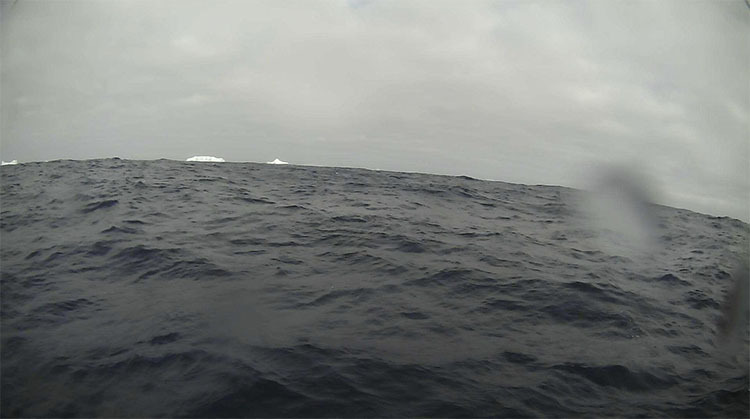 “The Southern Ocean is one of the least understood places on our planet due to its remoteness and harsh environment, yet scientists know it plays a crucial role in many planetary systems affecting humanity. Indeed, this is where ocean heat accelerates ice melt causing sea level rise, and where a significant portion of atmospheric CO2 is absorbed by the ocean. 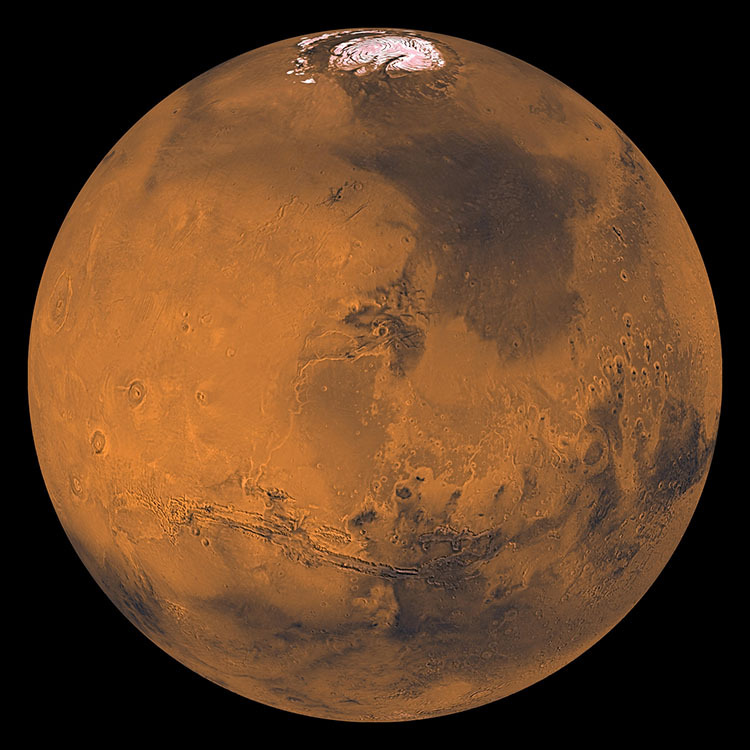 It is also where fast-changing conditions impact the large krill-powered marine life ecosystem. Our Saildrone Antarctic Circumnavigation is the first step towards establishing a permanent observing network around Antarctica, using a fleet of wind-powered USVs,” explained de Halleux. To make this historical exploration more accessible to the general public, Saildrone and the 1851 Trust have developed a series of STEM-oriented lesson plans free for use by teachers and educators. The Saildrone Wing Design Contest and “How Antarctica Affects Me” Video Contest encourage interaction with this remarkable journey. 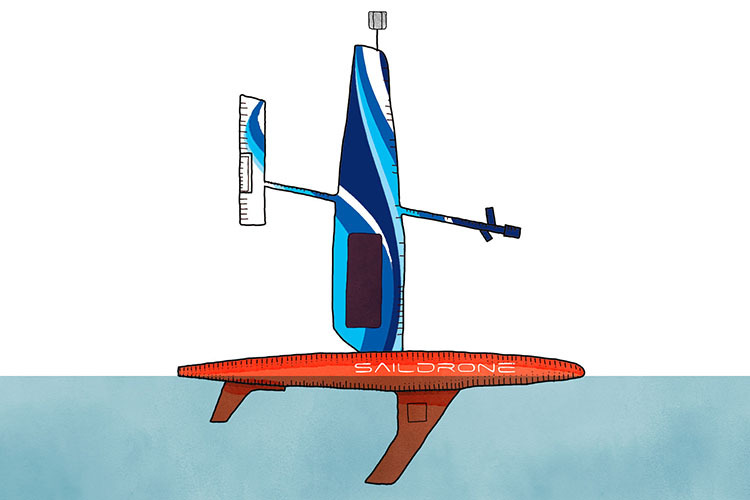 Design new graphics for a saildrone wing—take inspiration from your home or school, the ocean environment, a favorite fish or marine mammal (seals are often sighted hitching a ride on a saildrone), or the bold and colorful sails of the America’s Cup or Volvo Ocean Race sailboats. One winner will be chosen in each category: Junior, ages 12 and under, and Open, ages 13 and older. Or, shoot a video describing how Antarctica affects you. Download the lessons from saildrone.com/antarctica: Module 1 is about Antarctic krill and its place in the global food web; Module 2 discusses the carbon cycle and the real-life consequences of increased carbon dioxide in the atmosphere. Then, connect what you’ve learned with where and how you live and share it in a 60-second video. Design a saildrone wing or shoot a video telling us how Antarctica affects you, and you could win a trip to California to visit Saildrone HQ! Our favorite wing designs and videos will be featured on the Saildrone website and social media pages. Three grand prize winners (two in the design contest and one in the video contest) will travel to San Francisco to visit Saildrone HQ and other innovative technology companies working to make the world a better place! Global entries are welcomed, but grand prize eligibility is limited to Hong Kong residents. The 2019 Saildrone Antarctic Circumnavigation and contests are generously supported by the Li Ka Shing Foundation. Read the contest details and submit your entry at saildrone.com/antarctica. But hurry—the deadline to enter both contests is May 5, 2019!